1. The first two nights we will be traveling to Vancouver Island to stay in this Free Spirit Sphere. It took a little persuasion to convince Brian that it isn't going to be annoying to climb down the tree to the compost toilet in the middle of the night, but I think sleeping in the swaying breezes will make it all worth it. 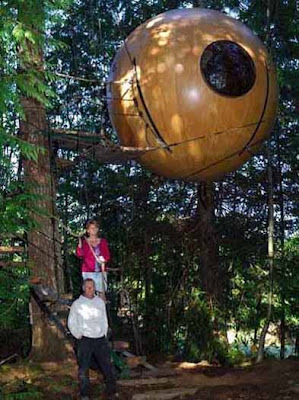 The sphere even has electricity, drinking water, a mini fridge, and a built in speaker system. 2. One of my surfing buddies Kristy has an awesome Stand Up Paddle Boarding camp. 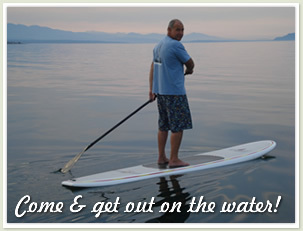 I haven't been able to join for a week of that action, but I've been dying to try out SUP for myself, which we plan to do during our stay on the island. In case you're not familiar, it's like surfing with a paddle and a slightly wider board. 3. 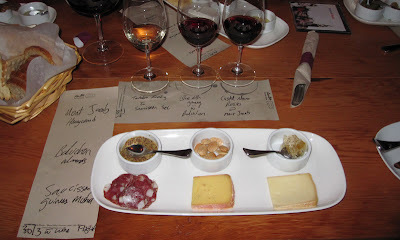 A wine and cheese experience at the Salt Tasting Room will be a great way to start, or end, a meal. This place got great reviews from a local food blogger and I love cheese. 4. There's nothing Brian likes more when we travel than trying local beers. 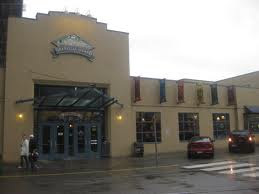 Taking a tour of the Granville Island Brewing Company will be just the place for that to happen. 5. 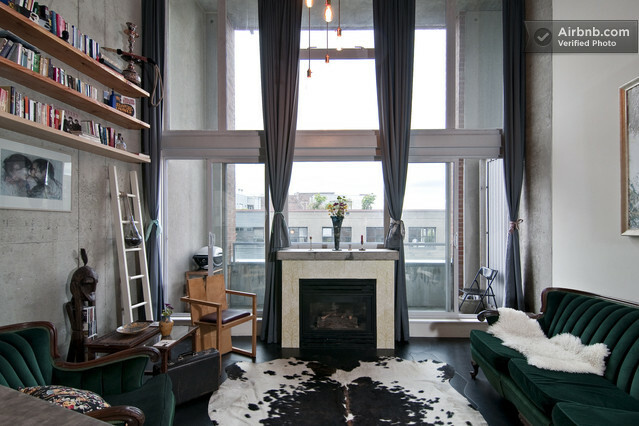 After the sphere, we'll be spending the remainder of our time in this amazing Gastown loft. 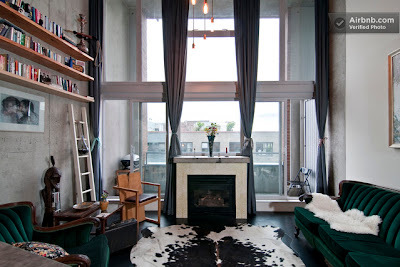 The hammock is my favorite part, besides the fireplace. So excited to stay in this Airbnb property! In addition to these attractions, we also plan to take in a dim sum breakfast in Chinatown (in preparation for my upcoming trip to China), take in some live music (TBD), bike along the Seawall, find some delicious coffee shops, nap, and leave a little room for whatever happens next. If you have any recommendations, feel free to toss them my way and thanks, as always, for stopping by! Mom says-look across the Straight of Juan De Fuca to Port Angeles WA where your parents were married and lived for 3 1/2 years!! I really wanna come on this trip. Sounds so fun!